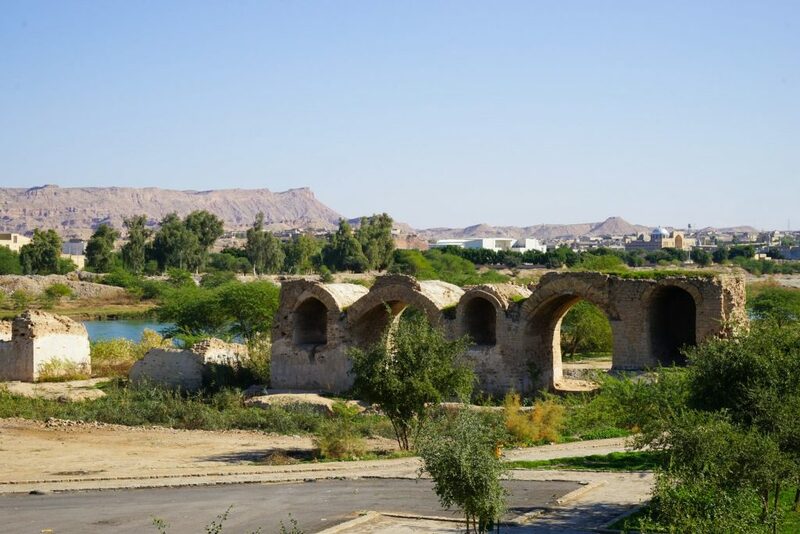 The life and soul of early Persian culture, Shushtar today should be one of the biggest tourist destinations in Iran but somehow its culture, archaeology, food and local life have yet to be discovered by travelers in Iran. But you can be the first! 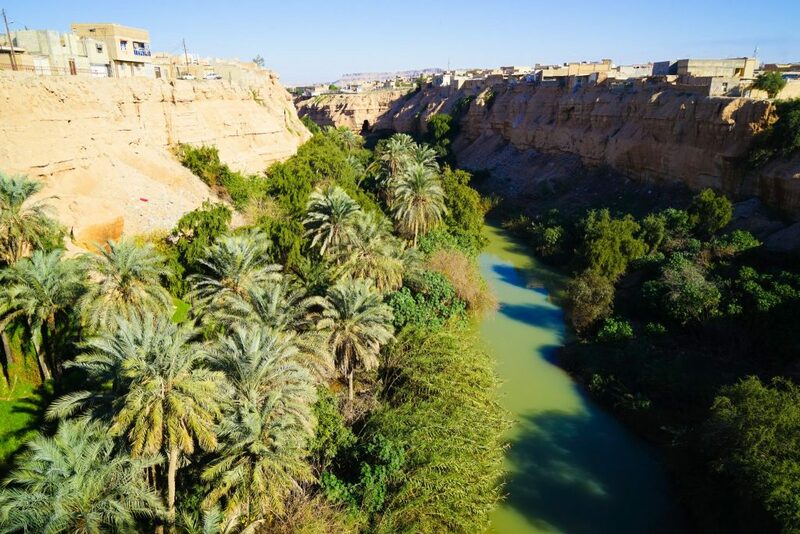 While the historical oasis city of Shushtar is not on most travelers list, it is a deeply fascinating town with plenty of ancient history making it well worth the effort to get here. 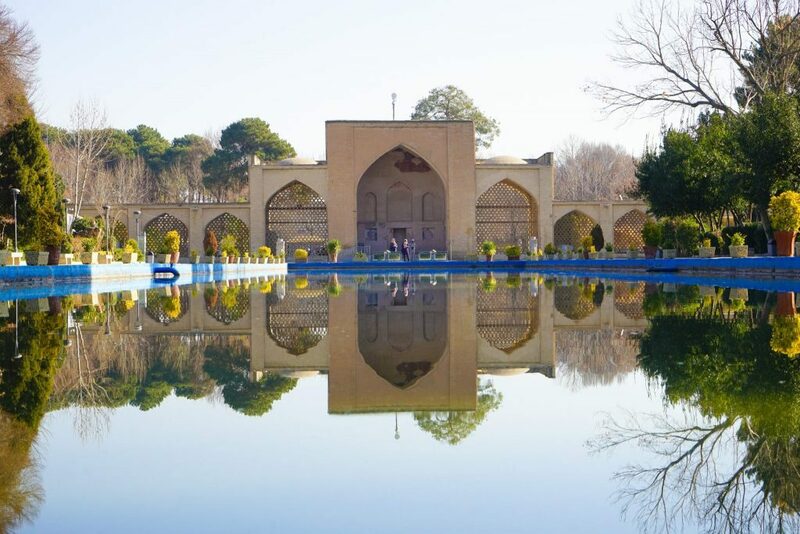 You will be rewarded with ancient feats of hydraulic engineering, three UNESCO World Heritage Sites, plenty of shrines and beautiful Qajar era buildings. 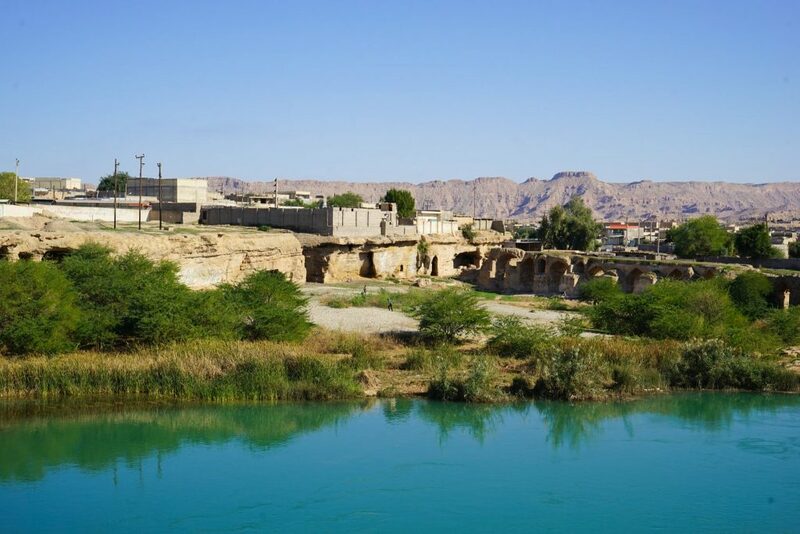 If that isn’t enough to tempt you, Shushtar is one of the best places in Iran to connect with locals as you are likely to not even see another tourist during your entire visit and Iranians will be eager to talk to the foreigners who have made the effort to explore their historic city. 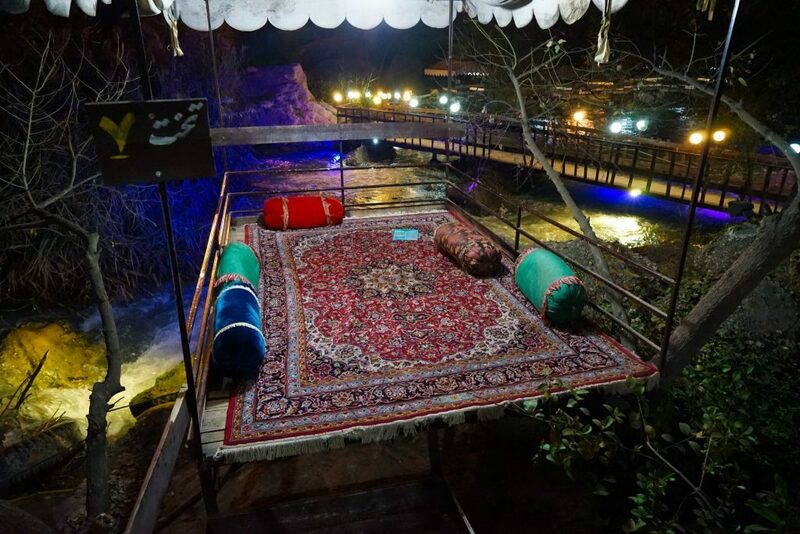 Here is everything you need to see In Shushtar Iran, and all the information to convince you the trip is well worth the effort. 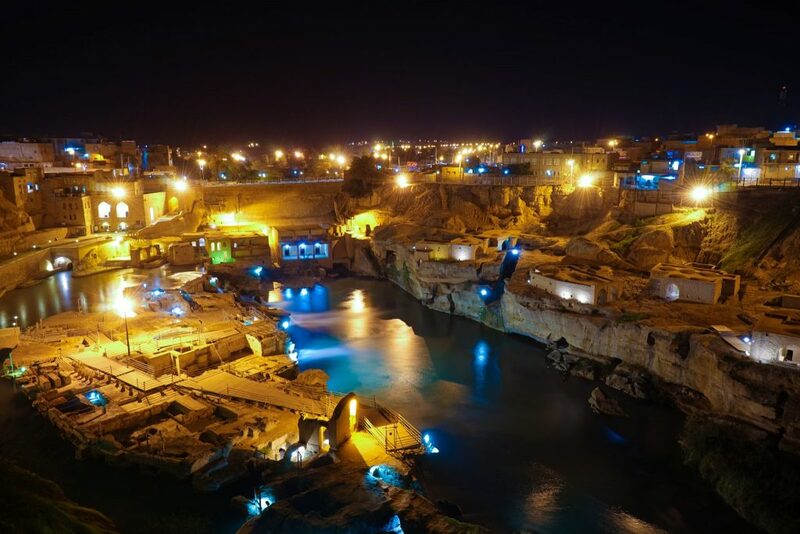 The main attraction of any trip to Shushtar has to be the UNESCO listed Shushtar Historical Hydraulic System. 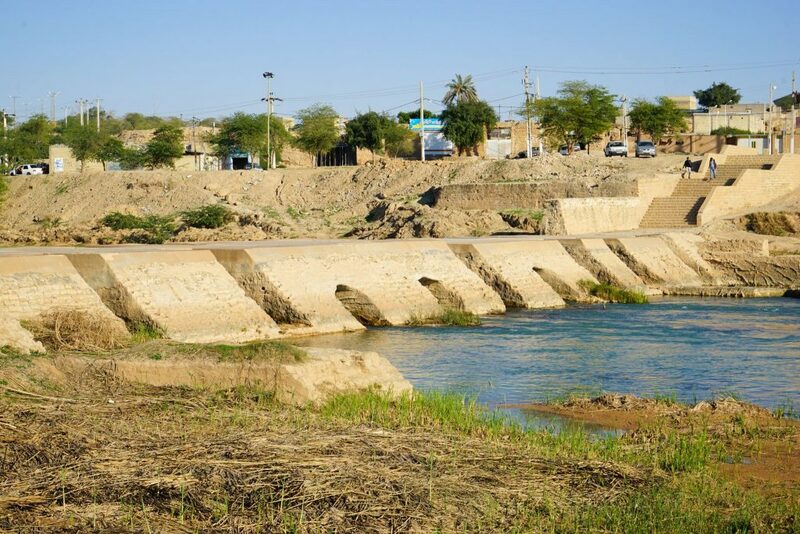 With a history dating back to the 5th century BC, this system involved the creation of two diversion canals to supply the town of Shushtar with water to power the historic mills. Producing a rather photogenic environment of water cascading over cliffs, the site is best visited in the mid-day sun when shadows are at a minimum, or after dark when the entire site is lite up by well-placed floodlights. 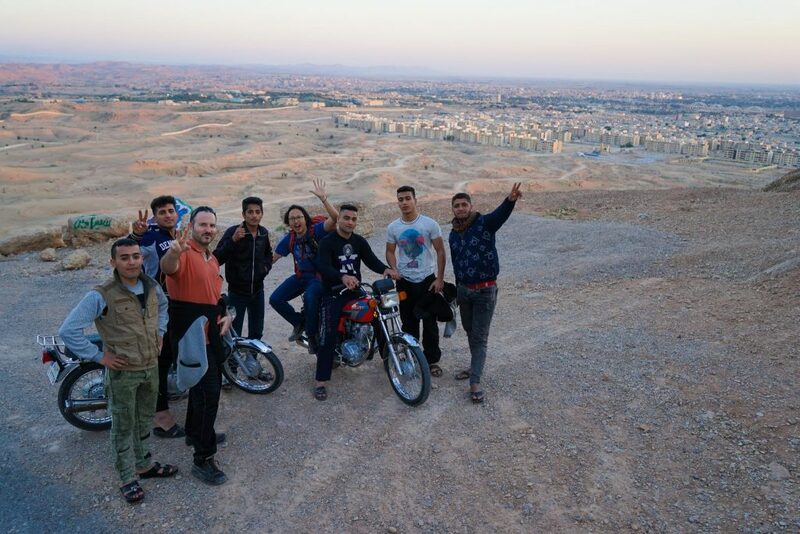 The best place to get a panoramic outlook over Shushtar and the desert planes, the roof of Shushtar is a popular sunset spot for a hike just on the outskirts of town. Local families head here to listen to music, watch the sun go down and play music – and you will be expected to join at least a few for tea and light conversation. You can organize a taxi to the Roof of Shushtar through your hotel or get a shared taxi from the main round-about in Central Shushtar. 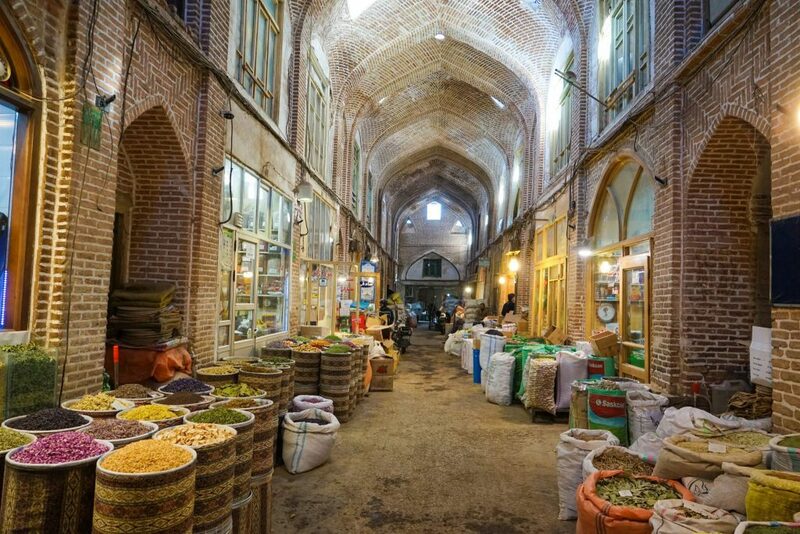 The Shushtar Bazaar might not have the grand architectural details of Tabriz or the scale of Tehran but is a beautiful example of daily Iranian life of display as most of the sellers here are pedaling meat, spices and fresh prices instead of trinkets and rugs. 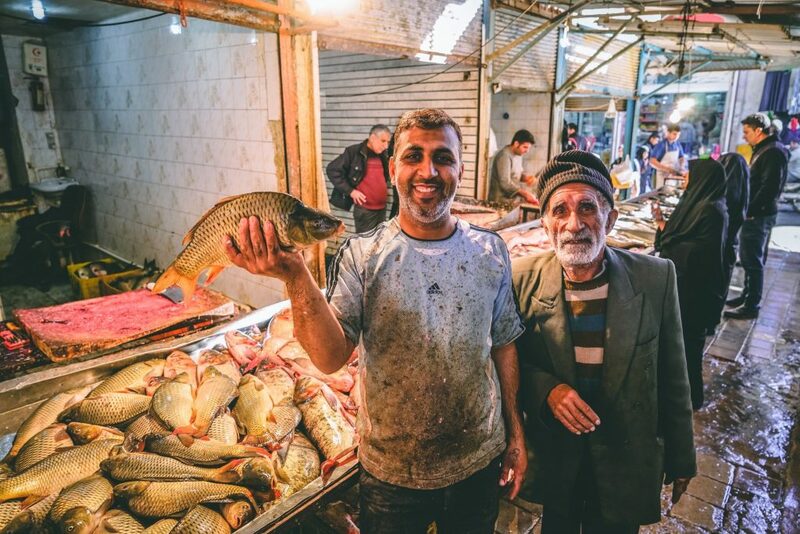 Tourists are not a common site here so expect plenty of people wanting to have their photo taken and proudly showing you their fresh fish, prime vegetables or pickled artichoke. Small town life at it’s best! 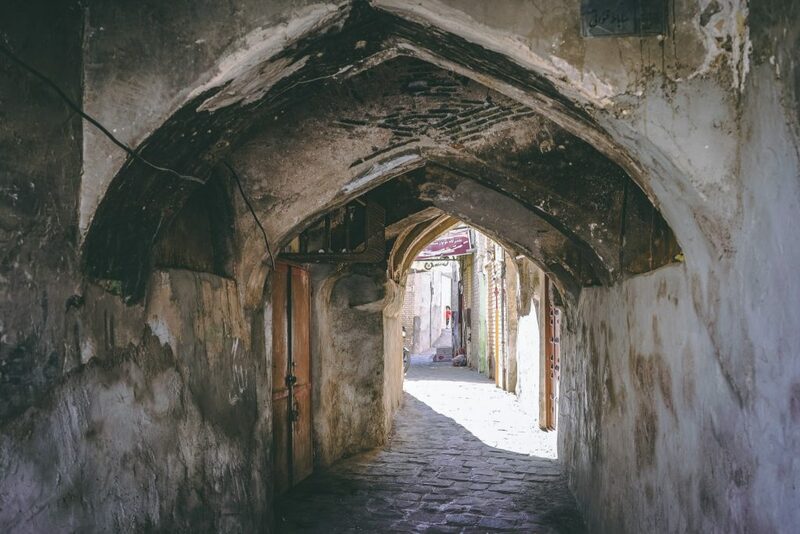 Chaotic and crazy, there is no better way to get to know Shushtar than wandering it’s historic old streets. These days cars somehow manage to expertly navigate its laneways but for the most part, you will only find silence and beautiful crumbling bridging that is still somehow inhabited. Take your time, get lost and admire the streets of a city that have barely changed in a thousand years. In the past strategically connecting two part of Shushtar and functioning as a dam to direct water to the all-important mill sites, the Pol-e Shadorvan Bridge is said to be one of the oldest bridges in the world. Today it stands in ruins but you can freely wander around and admire the grand architecture that has been awarded UNESCO World Heritage status. 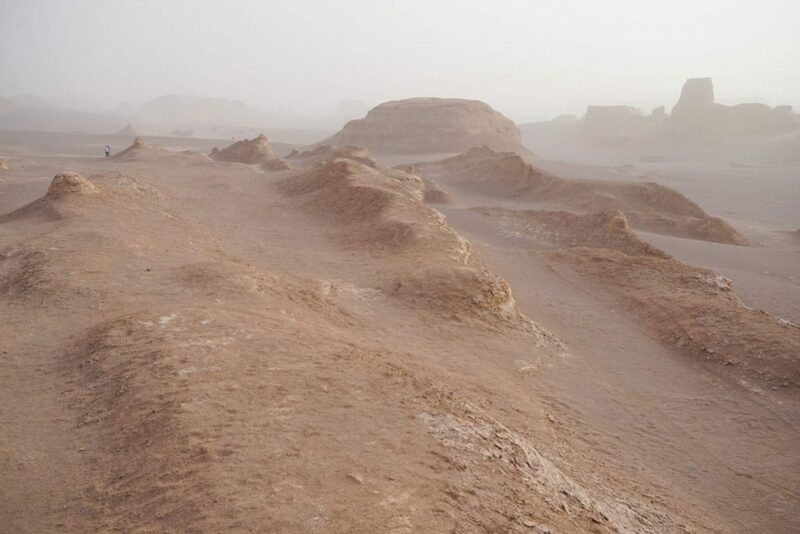 Located in a barren, forgotten corner of Iran just one hour from Shushtar – the Tchogha Zanbil is probably the most under-rated ruin in Iran, dating back to 1250 BC. Once a much revered holy town, the city was destroyed before it was even finished and hidden here for centuries until it was rediscovered in the early 20th century. The monolithic structure which rises out of the desert sands will send a tingle down your spine, and rightly so – there are not many places in the world as perfectly preserved and with such a fascinating history. Tchogha Zanbil is one place you should not miss if you’re trying to see Iran off the beaten track! 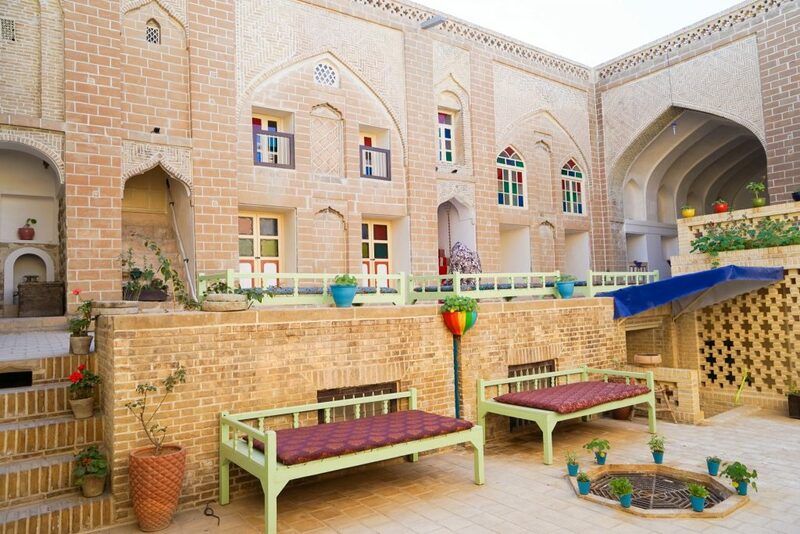 A beautiful and relaxed traditional hotel just off the main street – the Tabib Traditional Hotel is the perfect place to stay in Shushtar. With great room rates, a beautiful courtyard, delicious breakfast, and super-helpful staff this is our favorite hotel in Shushtar. Don’t make the mistake of stunning in one of the ugly, new buildings on the edge of town or in a dingy little guesthouse for the same price, the Tabib Traditional Hotel is really the only decent option for a hotel in Shushtar and there is a reason why almost every traveler stays here. 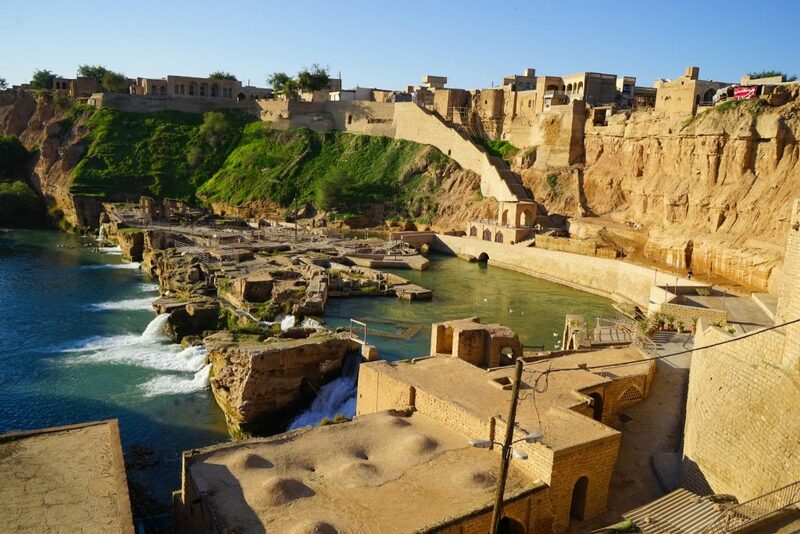 A great day trip from Shushtar is the UNESCO World Heritage Listed Susa, the remains of some of the oldest urban settlements in Iran dating back to the 5th century BC. 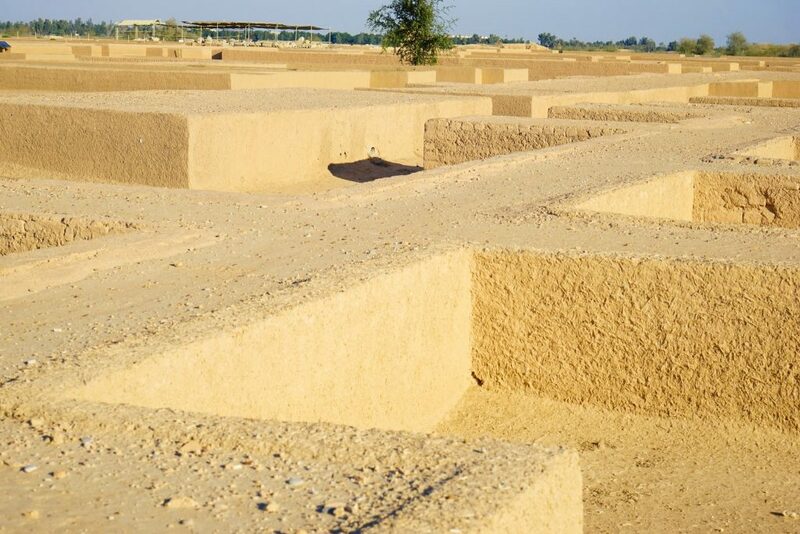 The Elamite, Persian and Parthian cultures can trace their heritage back here – though sadly the site itself is a tad underwhelming with only small walls remaining to help you imagine what it once looked it. The on-site museum, however, is terrific, as are the desert foxes that wander around the ruins in the afternoon. Nearby don’t miss Daniel’s Shine, the final resting place Daniel of ‘Daniel and the Lion’s Den’ fame – a beautiful small but busy shrine surrounded by vibrant markets. 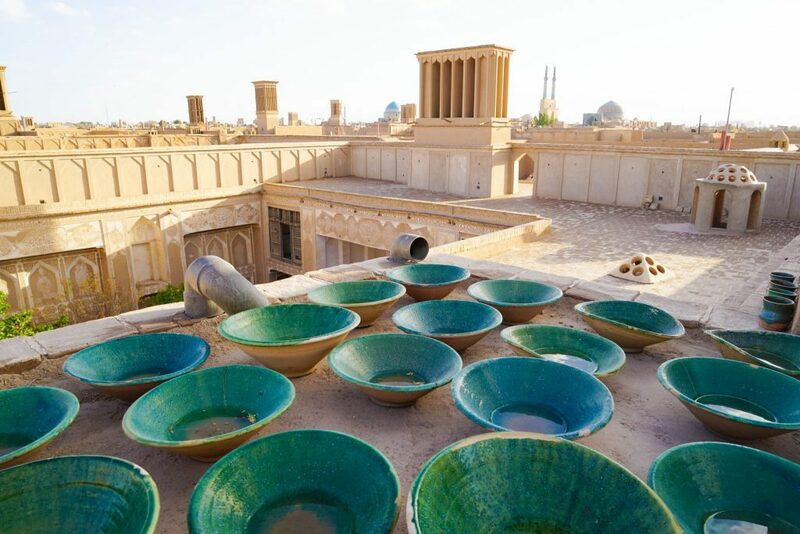 The Shushtar Craft Market is housed in the Afzal Caravanserai built during the Qajar era for the housing of corn. Today it has been repurposed and you can find many fine examples of the handicrafts Shushtar is famous for including textiles, waving, prayer-carpets, traditional jewelry and pottery. Don’t forget to explore the underground passage-way to your right as you enter which are a real unexpected treat. 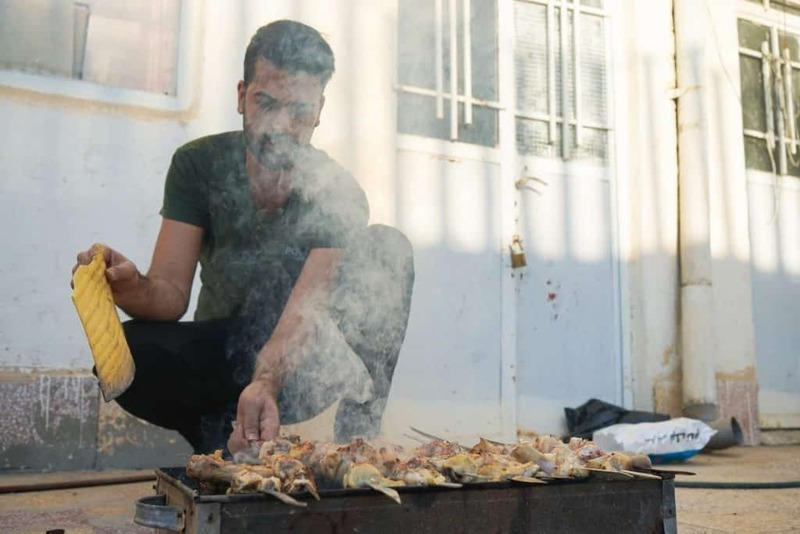 The best dining in Shushtar, and an experience you will never forget. 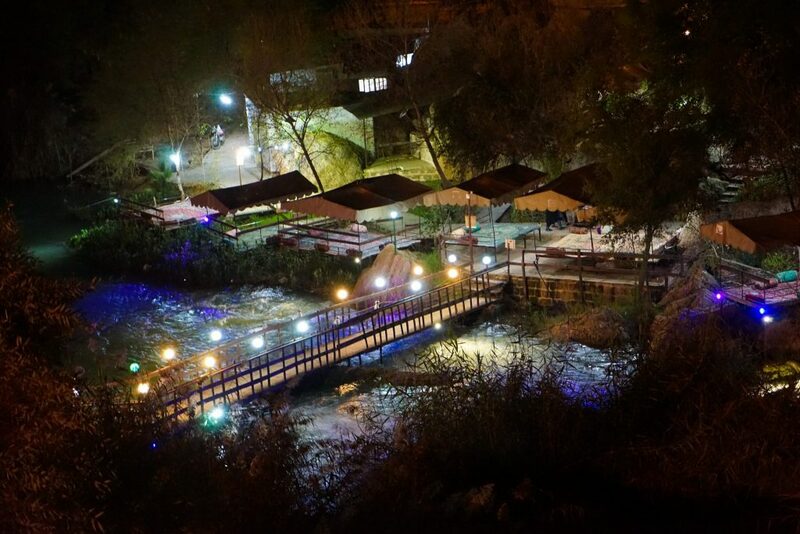 Called رستوران سنتی لشکر in Persian, the Lashkar restaurant is spread out along the river with private dining pavilions, some jutting out over the gushing water. The perfect place to relax during a hot day, or to mingle with locals at night, there is a wide variety of teas and traditional Iranian meals though the menu is not yet in English (don’t worry someone will help you). There is no website and Google says it is permanently closed (it’s not) but trust me – This is one place you don’t want to miss so show the photo to your hotel in Shushtar or just head to the Lashka ridge and you can’t miss it on the river below. 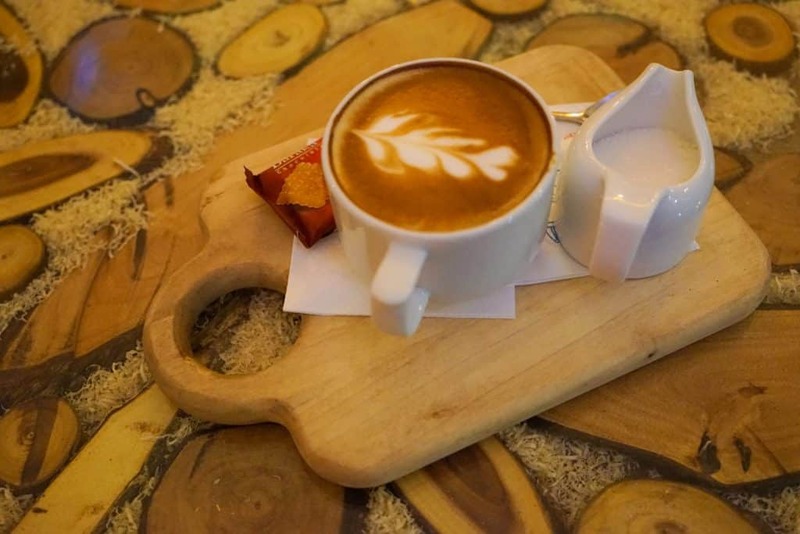 Probably the trendiest coffee-shop in Shushtar with gourmet coffee expertly brewed and presented, which scrumptious dessert and sweet snacks. There is also a small onsite museum, though nothing is in English so I would not go for this alone. 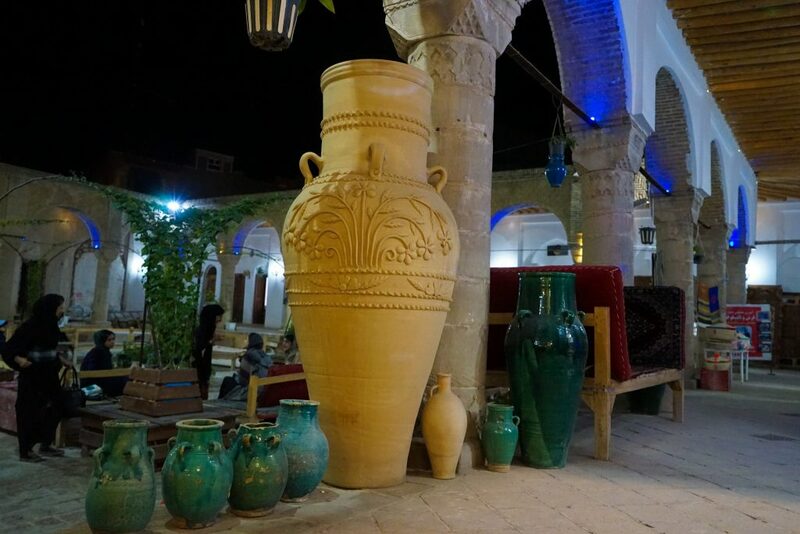 The Tarmeh Coffee Museum is also one of the most popular hang-outs for young people in Shushtar so if you’re looking for a central place to relax, chat with locals and get your caffeine hit this is the place for you! One of the oldest ethnic groups in Iran, the Bakthari people descend directly from the original Persian Emperor, Cyprus the Great. Most today have now moved to cities, but a few around Shushtar still rely on substance living and trading, largely from the sale of goats. 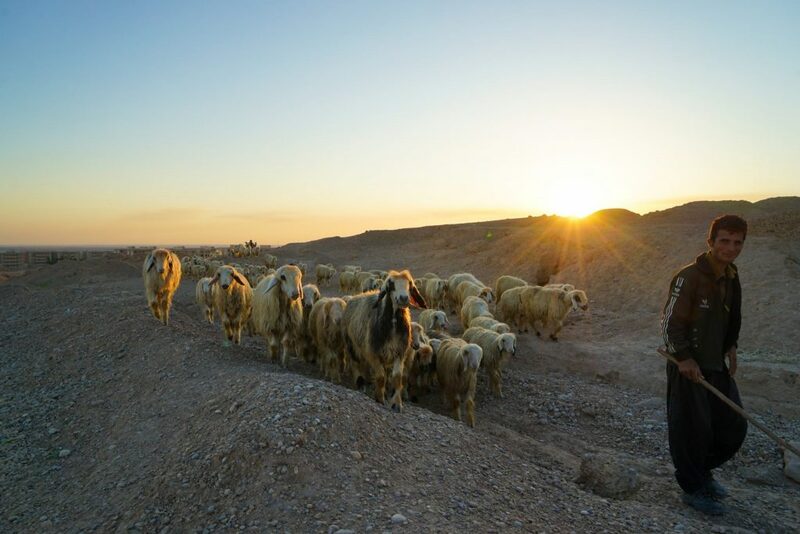 Every winter they bring their goats down from the high mountains and encamp on the out-skirts of Shushtar – and with the right connection you can join then, drink tea, play with their goats and learn about their ancient and mysterious ways. You can organize a Shushtar Bakthari tour through your hotel, or contact Nima on Whatsapp (+98 916 616 3056) who took me. 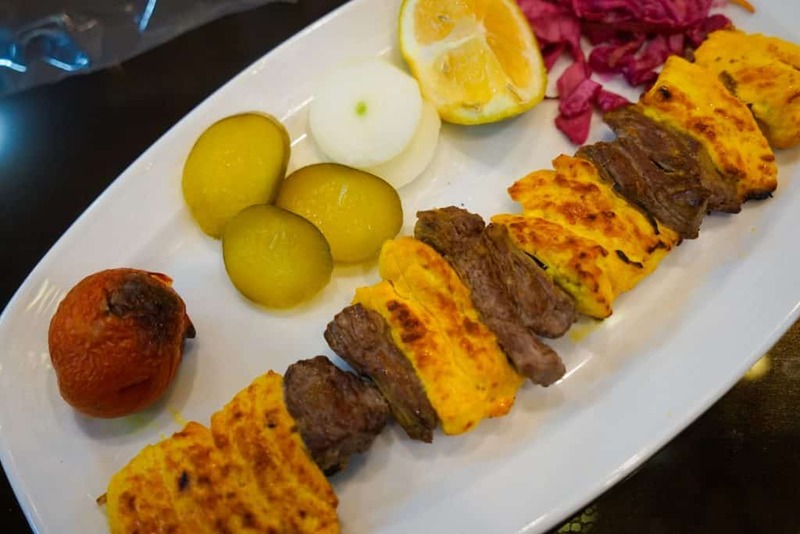 Shushtari food is some of the best in Iran, and while the best food is often served in locals houses, be sure to ask your hotel for their favorite recommendations nearby as there are a few hidden gems. One thing you cannot leave Shushtar without trying it Ash-e-gholghol made from wheat, meat, beans, and chickpeas. Haleem and Halva are also important components of the Shustari cuisine and worth seeking out in their own right. 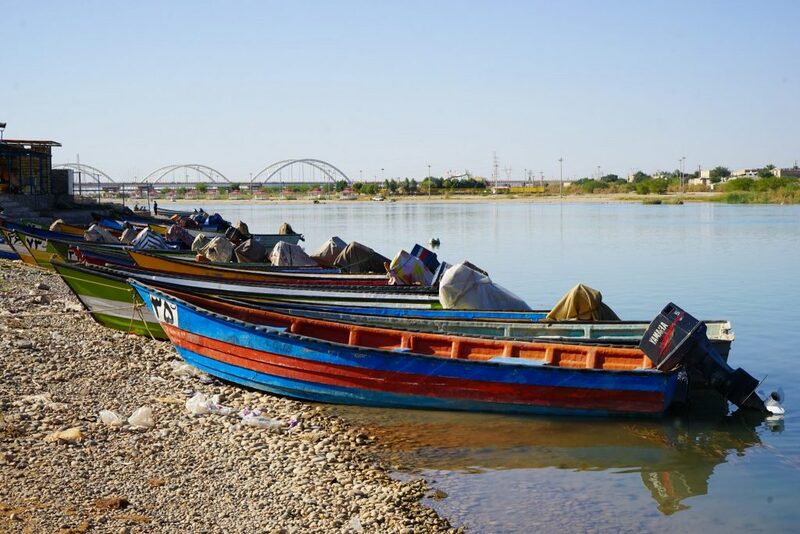 Not in any guidebook but you can take a beautiful day trip on the Karun River by boat to see more of the stunning historical sites of Shushtar by river, ending in a remote watering hole when you can go swimming, explore the surrounding area and have a traditional Iranian BBQ. One of the highlights of any trip in Shushtar, you can ask you hotel for help organizing or failing that or contact Nima on Whatsapp (+98 916 616 3056) who took me. 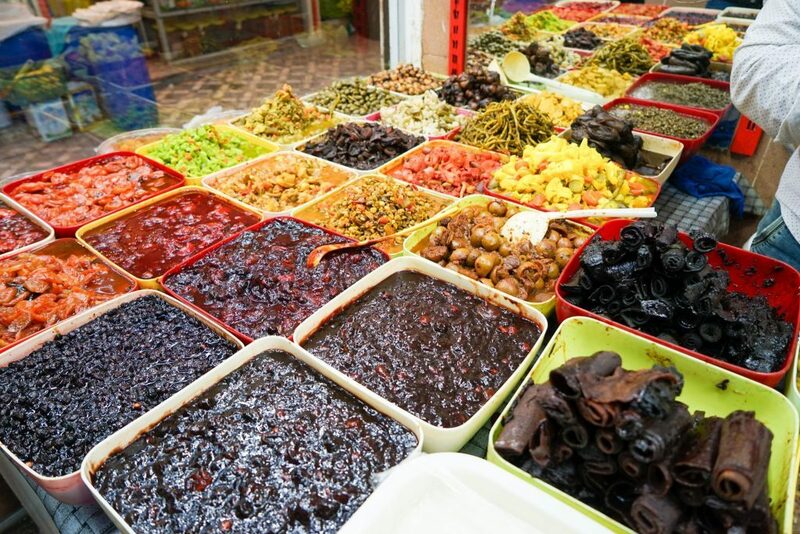 When in Shushtar you cannot miss the chance to taste the delicious variety of pickled foods and sauces on sale here, the variety is truly astounding! Don’t know which flavor is for you? Don’t worry the seller will happily let you sample as many flavors as you like until you settle on the best one for you. The 7 Fruits with Pomegranate is my personal favorite, though the pickled apricots with honey or olives in walnuts are life-changing. 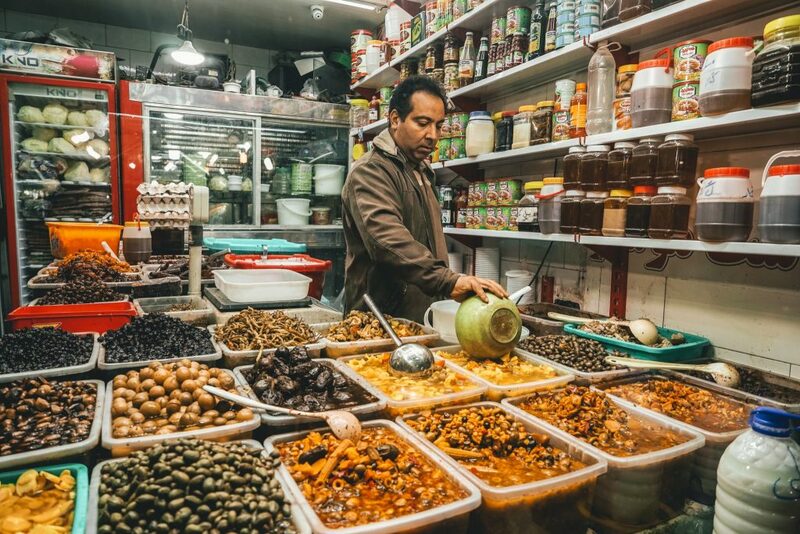 The best-pickled food sellers are gathered around one street in the Shushtar Bazaar, though if you want some expert help you can organize a Shushtar Pickled Food Tasting tour through your hotel, or contact Nima on Whatsapp (+98 916 616 3056) who took me. 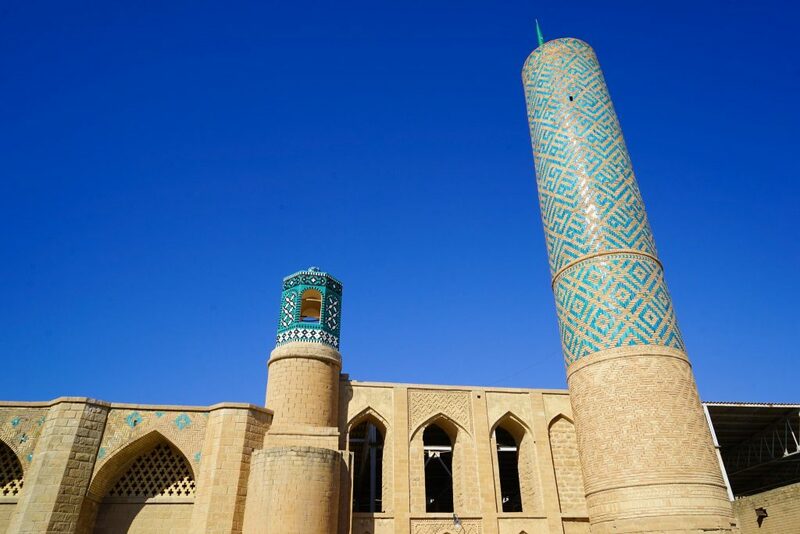 Also known as the Jameh Mosque of Shushtar, this mosque is one of the most important and old mosques in Iran. Built during the Abbasid Caliphate (the third of the Islamic caliphates to succeed the Islamic prophet Muhammad) under Mohammad Ibn Jaffar Motavakel, it took over 191 years to build! Currently undergoing an extensive renovation, you still enter for free and take a look at the intricate carving and stonework on display here. 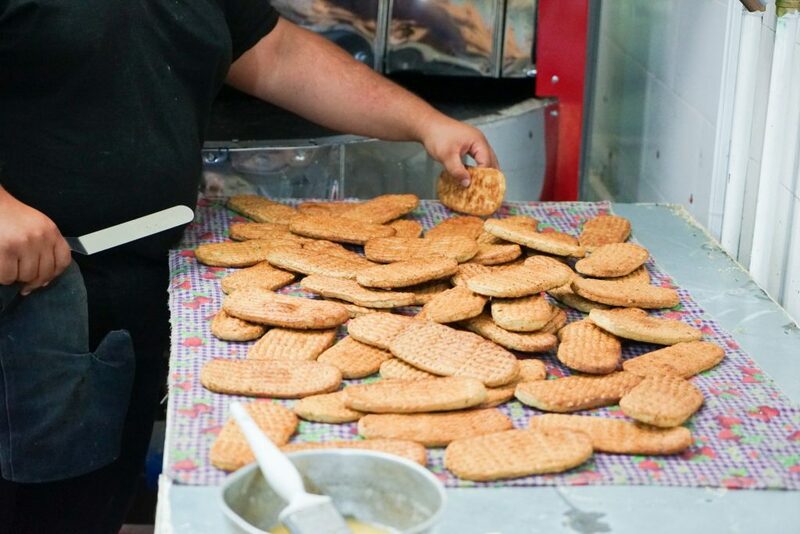 Famous all over Iran, Shushtar cookies can be found freshly baked in many shop windows around town. The best flavors you must try are cumin, fennel or ginger-date – and while they may look plain, one bite and you will see they are anything but! Often served at family gathering and wedding, cookies are an important part of Shushtar culture – and one that locals will be happy to help you explore with plenty of ‘free samples’ to try before you buy! 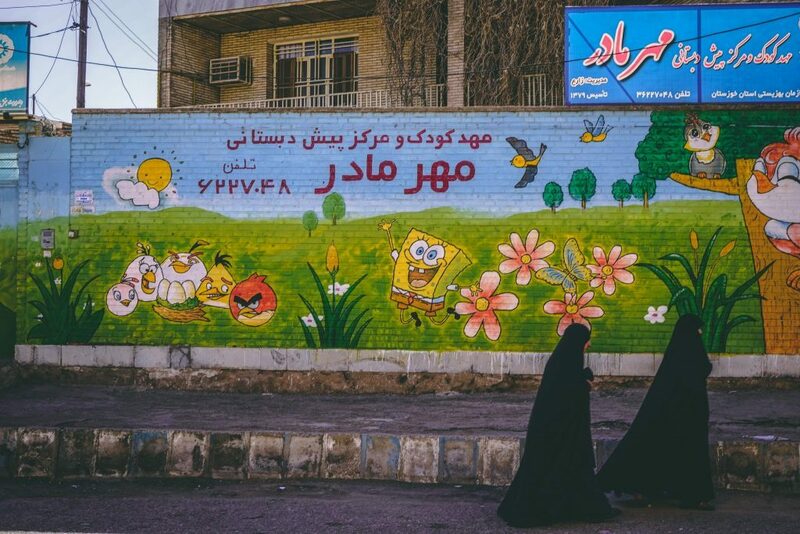 Want the chance to see a completely different side of Iran? 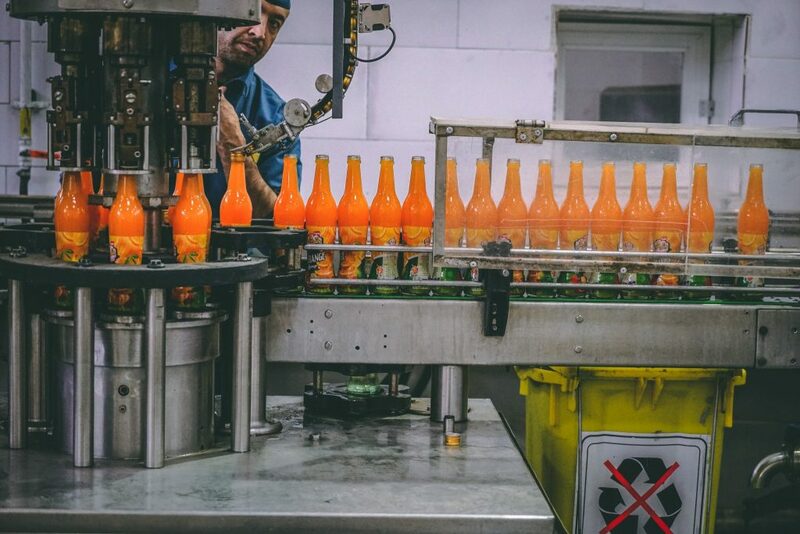 Why not take a tour of the third largest food manufacture in Iran? 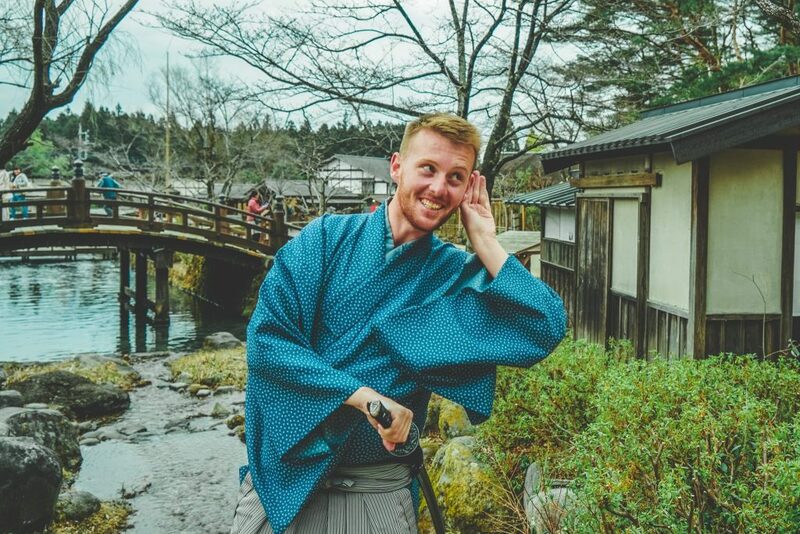 While it might seem a bit weird – Mejid Food Industries on the end of town offers free guided tours to curious foreigners and you are able to see the hundreds of products packaged and distributed by Mejid Food daily – both nationally and internationally. A curiously wonderful opportunity, you should be able to arrange by asking your hotel to ring in advance on work-days or contact Nima on Whatsapp (+98 916 616 3056) who took me. 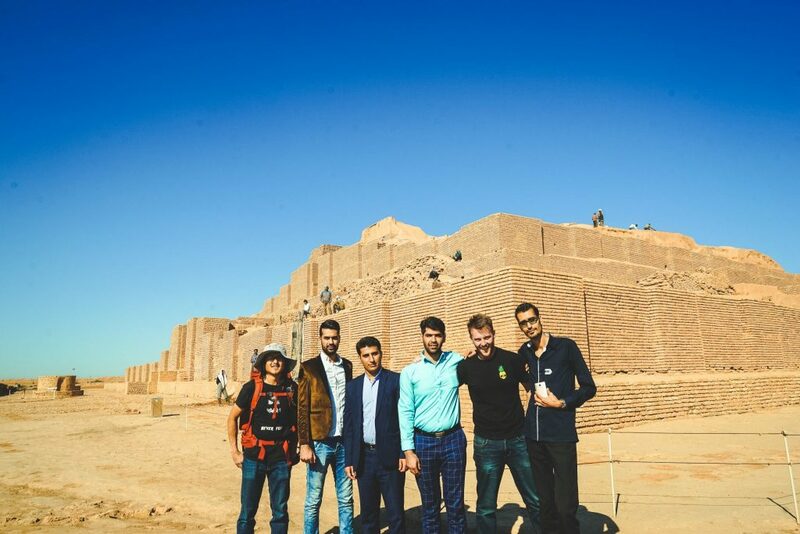 One of the companions of the prophet who helps conquer Iran for Muslims, today this monument is one of the oldest Islamic tombs in the country. Destroyed and re-constructed many times of the past centuries, the Monument of Bara Ibn Malik Ansari is still one of the most important religious sites in Shushtar, is free to enter and has an imposing view over the Khan River. A beautiful garden walk filled with tall palm trees where you can find peace and solitude. 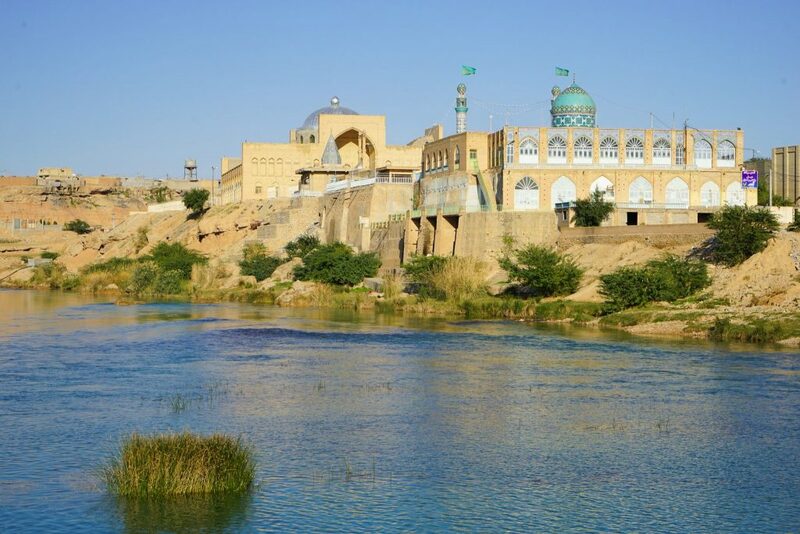 Located along the edge of the Gargar canal just downstream of the Shushtar historical hydraulic system, which is one of the largest man-made watercourses in Iran and the world. This is a great free activity in Shushtar – though it can feel like a bit of an adventure in the winter months when the ground gets muddy! Located in the west reaches of Iran, getting to Shushtar is easiest via overnight bus, train and flight. 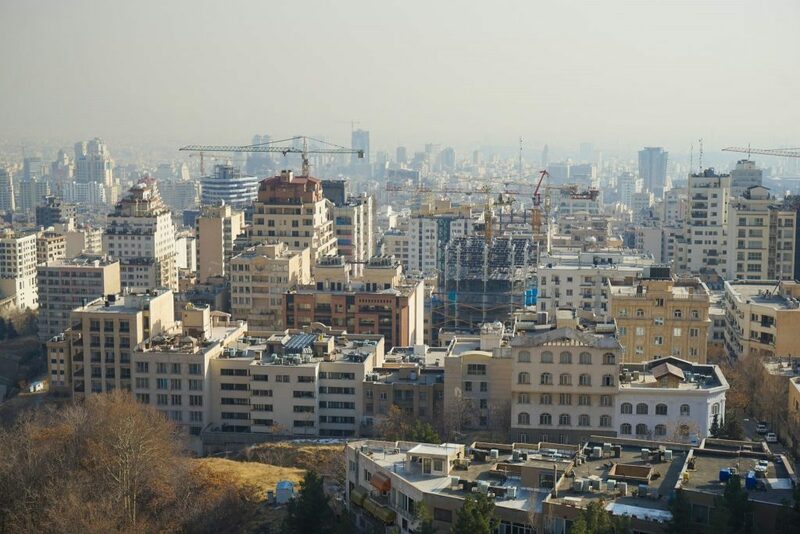 The nearest airport is in Ahvaz around an hour away from where you can also find direct flights to most major cities in Iran at least once a week. 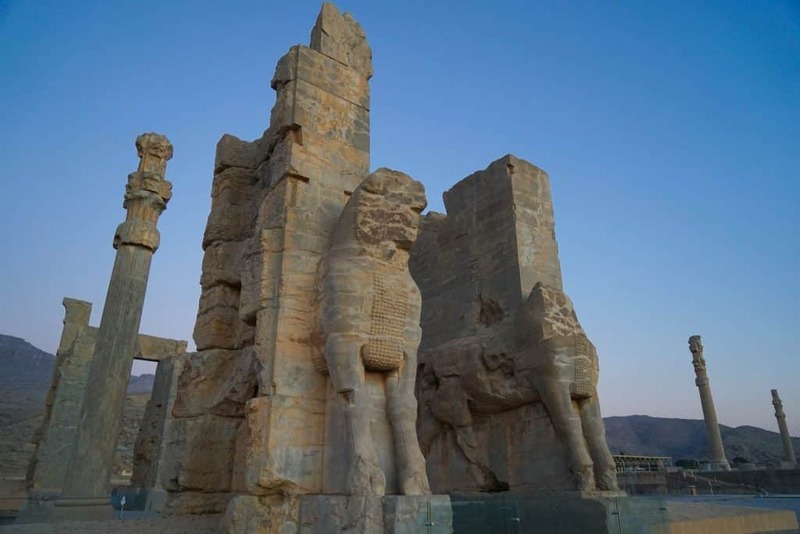 From Tehran, the overnight sleeper train is the best option and takes around 17 hours, or you could take a bus from Tehran and other cities in Central Iran including Isfahan, Yazd, and Kerman – though sometimes you will need to change in Dezful and get a shared taxi (very cheap and frequent). Be sure to take a VIP bus or if necessary (e.g. to Shiraz) go to Ahvaz and change because the standard bus overnight is rather dreadful and the direct standard bus goes through Ahvaz anyway. And if you want even more adventure – and to get out into nature while exploring off-the-beaten-track in Iran – why not consider hiring a rental car in Iran? What could be better right!